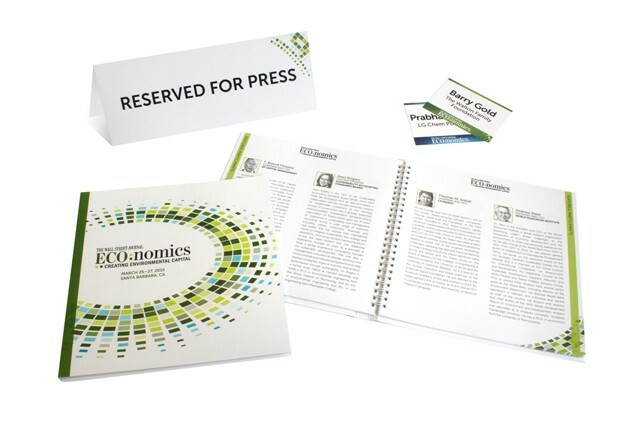 Objective: The Wall Street Journal Executive Conferences division based in New York reached out to LITCO to support them on the production of collateral for the ECO:comics Conference. The team at The Wall Street Journal was candid and informed us that creative approvals wouldn’t be final until a week ago and could we deliver under a tight timeline. LITCO pulled through on all the collateral. The collateral included a 70-page conference booklet, posters, directional arrows, easel back signs, name badges and tent cards.